At that time the World-Honored One emitted hundreds of thousands of tens of thousands of millions of great rays of light from the door of his crown: the White Ray, the Great White Ray, the Auspicious Portent Ray, the Great Auspicious Portent Ray, the Jade Ray, the Great Jade Ray, the Purple Ray, the Great Purple Ray, the Blue Ray, the Great Blue Ray, the Azure Ray, the Great Azure Ray, the Red Ray, the Great Red Ray, the Green Ray, the Great Green Ray, the Gold Ray, the Great Gold Ray, the Good Luck Cloud, the Great Good Luck Cloud, the Thousand-Wheeled Ray, the Great Thousand-Wheeled Ray, the Jeweled Ray, the Great Jeweled Ray, the Solar Disc Ray, the Great Solar Disc Ray, the Lunar Disc Ray, the Great Lunar Disc Ray, the Palace Ray, the Great Palace Ray, the Ocean Cloud Ray and the Great Ocean Cloud Ray. This chapter discusses the merit and benefit derived from seeing the image of merely hearing the name of Earth Store Bodhisattva. 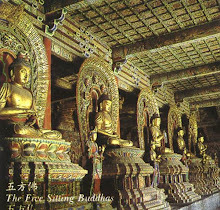 The “door of his crown” refers to an invisible “opening” in the crown of the Buddha’s head, which is said to be “invisibly high.” It is not something exclusive to the Buddhas, however, since everyone may have such a “door.” It is through this door that the Buddha-nature of a person skilled in cultivation of the Way leaves the body at death. When it leaves it goes wherever one wishes, but only on the condition that some successful work of cultivation took place during the person’s life. 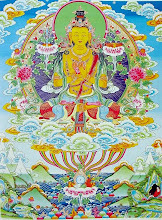 The light rays, which illumined all beings in the nine Dharma realms below the Buddha, lit up hundreds of millions of worlds in order to reveal the importance of this sutra to living beings. These manifold light rays serve to remind us to put forth great effort in explaining, lecturing on, printing, and circulating this sutra. The printing and circulation of sutras is a beneficial cause that leads to the development of wisdom. Since there are so few sutras and commentaries available in the West, it can be said that the ground is parched and waiting for the rain of Dharma. The circulation of sutras such as this one is the falling of the Dharma rain. The names of the various rays of light indicate what the rays reveal and how they function. The White Ray and the Great White Ray represent the power of Earth Store Bodhisattva and of this sutra to disperse the darkness in the world; the Thousand-Wheeled Light reveals the appearance of the thousand-spoke wheel such as is seen on the sole of the Buddha’s feet. The other rays reveal similar phenomena. Wonderfully subtle sounds refer to the Four Types of Eloquence and the Eight Types of Sound. The first of the Four Types of Eloquence is Unobstructed Eloquence of Meaning. Although there is fundamentally no meaning to express, when the Buddha speaks Dharma to awaken beings to the state beyond words, the meanings and doctrines become infinite and multilayered in response to the needs of living beings. The third kind of eloquence is Unobstructed Eloquence of Phrasing. When some people speak they finish in two or three short sentences; when the Buddha speaks, on the other hand, his words are like an inexhaustible torrent. The fourth kind of eloquence is the Eloquence of Delight in Speech. It includes not only the enjoyment of speaking Dharma, but also the quality of which cause those who hears to enjoy listening. 1. The ultimately Good Sound. The sound of the Buddha’s voice is devoid of all the rasping, harsh qualities so often found among people. It is a harmonious sound, and the more one hears it the more he wishes to continue doing so. 2. The Gentle Sound. This sound is like the soft sound of a flowing brook, and it far surpasses the sound of music. 4. The Venerable and Wise Sound. The Buddha’s voice is such that we need not even mention listening to his words; just hearing his sound is sufficient to lead to the development of wisdom. 5. The Non-Yin Sound. This is the “yin” that occurs in the compound yin and yang. Yin represents the passive, negative, feminine, earthy, and so forth. Yang represents the active, positive, masculine, heavenly, and so forth. Many people’s voices show yin qualities, such as a high and delicate timbre. When the Buddha speaks there is no such quality in his sound. 6. The Non-misleading Sound. Everything the Buddha says is right and proper. There is never any need to fear that he is telling jokes or misleading people. 7. The Far-Reaching Sound. 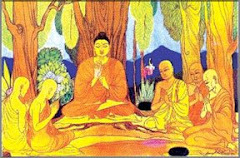 The Buddha’s disciple Mahamaudgalyayana, foremost in spiritual powers, once passed through limitless millions of Buddha-lands to the east in order to find out where the Buddha’s voice stopped. No matter how far he traveled, the voice was still just as if the Buddha were at his ear. 8. The Inexhaustible Sound. 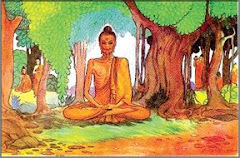 The sound of the Buddha’s voice can never be cut off. When the Buddha speaks he may use only some, or he may use all, of these eight sounds. One person may hear the Far-Reaching Sound while at the same time another hears the Gentle Sound. This is due to the differing natures of living beings. The sutra text here makes a passing reference to the Ten Grounds, parts of the fifty-five stages of a Bodhisattva’s progress. 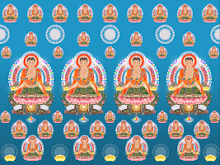 This is discussed in great detail in the Avatamsaka Sutra, as well as in the Surangama Sutra. The first of the ten called the Ground of Joy. 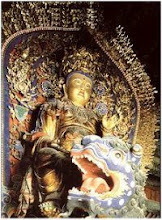 At this stage a Bodhisattva is always happy, even if beaten or reviled. Because of his constant joy he is able to reach the second ground, Leaving Defilement. Leaving defilement means putting aside all greed for personal comfort and most particularly greed for sexual pleasure. When all desire and unclean thoughts have been put aside, the third stage, Emitting Light, is reached. Once light is emitted, it flares into the blazing light of wisdom. Consequently, the name of the fourth stage is Blazing Wisdom. 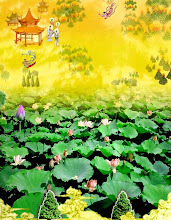 The fifth ground is called Difficult to Conquer, since the Bodhisattva in this stage has such wonderful spiritual powers that he is invincible in debate. 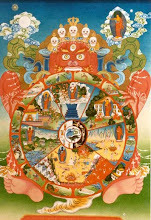 The sixth ground is called Manifestation, since there are further manifestations of wisdom and light. The seventh is called Far Traveling, and the eighth Unmoving. At the eighth stage the Bodhisattva does not need to move from his field of enlightenment and yet he is able to manifest and teach beings throughout the universe. 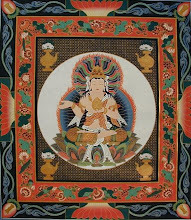 The ninth stage is called Good Wisdom, and the tenth Dharma Cloud. 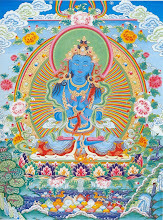 At this stage the wisdom and compassion of the Bodhisattva cover beings like a great cloud that shades the earth. 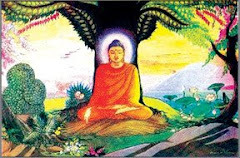 In the above passage of text the Buddha praised Earth Store Bodhisattva’s irreversibility from Anuttarasamyaksambodhi, the Utmost, Right, and Equal Enlightenment. Although Earth Store Bodhisattva has not yet become a Buddha, the degree of his enlightenment is equal to that of the Buddhas. There are varying degrees of enlightenment. Those of the Two Vehicles – Sound-Hearers and those enlightened to causation – are surpassed by the enlightenment of the Bodhisattvas. The enlightenment of the Bodhisattvas is said to be right and equal, since it can be said to be equal to that of the Buddhas. Such enlightenment, however, is still not the highest degree, since it is surpassed by that of the Buddha. 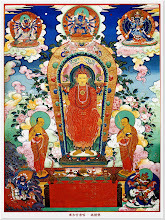 Thus only Buddhas are said to have the Unsurpassed, Right, and Equal Enlightenment. The term “irreversibility” refers to the Three Types of Non-retreat. The first of these is Irreversibility of Position, so called because there is no retreat to the practices of the Two Vehicles. 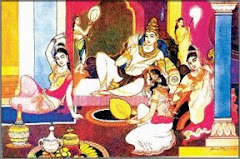 The second is Irreversibility of Practice: there is no retreat to the non-cultivating behavior of common people. The third is Irreversibility of Thought, so called because the thought is firmly fixed on the practice of the Great Vehicle Dharmas. 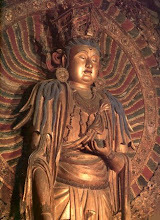 When the Contemplator of the World’s Sounds, Avalokitesvara, says that he has heard the Buddhas of the ten directions praise Earth Store Bodhisattva with different mouths but a common sound, there are two possible explanations. One is that each Buddha spoke at a different time and place, yet each of them said exactly the same words; the other is that all the Buddhas simultaneously made this statement. Although his meritorious qualities derived from worshiping the Buddhas are limitless, we can select five representative benefits as examples. 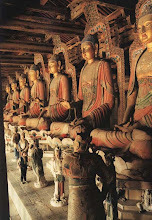 Those who bow to and worship Buddhas and Bodhisattvas gain a pleasing appearance, a physiognomy that causes anyone who sees them to feel respect. The second benefit is the obtaining of a wonderful sound. The third is the attainment of wealth and honor. The fourth is birth in honorable families. The fifth is rebirth in the heavens. 1. The ever-fresh slower headdresses of the gods begin to wilt. 2. The permanently clean clothes of the gods become soiled. 3. The gods never sweat, but when signs of their decay occur, they perspire under their arms. 4. The normally fragrant bodies of the gods begin to stink when the signs of decay appear. 5. The gods normally sit still and composed, as if in samadhi. When the signs of decay appear they begin to fidget. Once these signs have occurred, the gods fall and may be reborn as humans, ghosts, animals, hell dwellers, and so forth. 1. The subtle voices of the gods become coarse. 2. The shining light of their bodies fades. 3. Their bodies usually repel water like glass. When the signs of decay appear they become soaked by rain. 4. They become unable to renounce certain states of existence and become strongly attached to them. 5. They become weak and devoid of energy. At this time their eyes, which normally remain fairly steady, begin to flit about. In addition to the five major and five minor signs of decay, there is yet another list giving seven signs of decay. Some of these repeat those in the above lists but since they are often given as a unit, they will be treated as such here. 1. The light of the gods is extinguished. 3. Their beautiful form changes and they become unattractive. 4. Their clothing catches dust. 6. Their bodies become thin. 7. They cannot remain still in their seats. If, when these signs of decay are manifested, the gods are able to worship Earth Store Bodhisattva; their blessings will not only continue but increase. 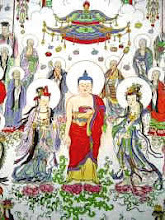 Because living beings, even those who believe in the Buddha, may sometimes be quite confused, the Bodhisattva does not always come to them in their waking state but sometimes appears in dreams. “Moreover, Contemplator of the World’s Sounds, if good men and women in the future wish to fulfill hundreds of thousands of tens of thousands of millions of wishes and to succeed in as many undertakings regarding both present and future, they should simply return to and rely upon, gaze in worship at, make offerings to, and praise the image of Earth Store Bodhisattva. Their wishes and goals will certainly be realized. 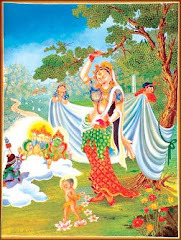 Moreover, they may ask Earth Store Bodhisattva, the Compassionate One, to eternally protect them. In a dream the Bodhisattva will rub their crowns and bestow predictions of enlightenment. The reason beings encounter obstructions to their cultivation is that they have not yet eradicated karmic blocks from past lives. These obstructions often appear at moments when beings are about to undertake some beneficial practice, the recitation of sutras, for example. Just as they are about to start they are overwhelmed with weariness and become captivated by the demons of sleep. As soon as they put the text of the sutra down, the demons leave them alone, and if they become involved in idle, useless activities and chatter, they find themselves bursting with energy. The dharma given here to counteract this type of obstruction includes making offerings, among them even playthings. This refers to all sorts of toys, such as the balls children play with. Don’t think, however, that the Bodhisattva likes to play with toys. The point of this offering is that one gives the things he most enjoys. 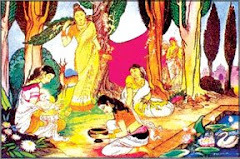 This particular dharma also requires abstention from the five pungent plants, a list that includes everything in the category of garlic, onions, shallots, chives, and leeks. These items are forbidden because they tend to increase torpor, stupidity, anger, and sexual desire. 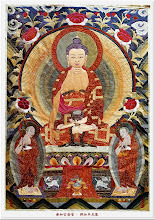 “Moreover, Contemplator of the World’s Sounds Bodhisattva, if there are people in the future whose food and clothing are insufficient, who endure sickness and ill fortune, whose families are not peaceful, whose relatives are scattered, who are bothered by unfortunate occurrences, or who are often startled in their sleep by dreams, upon hearing the Bodhisattva’s name and seeing his image, they should recite his name a full ten thousand times with extreme sincerity and respect. 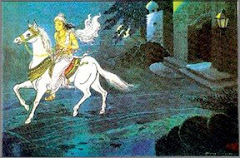 Those inauspicious matters will gradually be eradicated, and they will attain peace and happiness. Their food and clothing will be abundant and even in their dreams they will be peaceful and happy. Cannot be explained with infinities of words. Brings endless benefit to men and gods. And his offenses will be wiped away. And for twenty-one days constantly hold his name. And show the realms in which the kin were born. Will quickly leave behind these states of woe. Just gaze upon the image of this Lord. And karmic hindrances will not bind one up. His crown will be rubbed, he’ll hear a prophecy. Although his wish transcends all words and thoughts. He cannot hold the sutra in his mind. Just recite the name of this great Lord. Throughout ten million lives he’ll not forget. Their bitter sorrows will be wiped away. Gods and ghosts will circle and protect them. 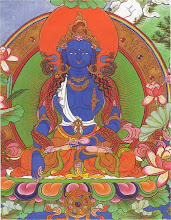 To Earth Store Bodhisattva’s form. The evil multitudes will disappear. Earth Store cannot be reached by word or thought. To fully describe the power of this Lord. They will delight in a thousand wondrous joys.